I wasn’t able to go to Microsoft Ignite this year in Atlanta, but 4,078 miles away I have been watching social media, Microsoft blogs, live and on demand streams to gather as much relevant information as possible with regards to Skype for Business. The intention of this post is to summarise the key points I have come across, and there are quite a few. At the Ignite Keynote I picked up on the fact that Microsoft’s message for this Ignite was all about Cloud and Business Transformation. Not suprising right? The cloud bit not so much, but now Microsoft have taken their gloves off, removed their arm from around SI partners and are now pushing more and more direct services to businesses. The message was clear, Corporate Vice President Julia White said that I.T no longer stands for Information Technology, but Innovation and Transformation. What does this mean? Innovation – 75% Microsoft driven application services, 15% partner driven application services and 5% home grown application development. The decade 2020-2030 will be known as the decade of the Dev, like 2000-2010 was the decade of virtualisation and optimisation. I haven’t mentioned hardware here, it is so readily available in Cloud platforms like Azure and AWS that businesses no longer need the captial investment to host their application locally. It is becoming less and less of a consideration because nowadays its just a subscription box on a website. Click a button and boom, there you go! In fact, customers have stopped talking CPU and RAM and have become more and more concerned with data security and sovreignty. This now means that businesses can concentrate on applications to streamline their productivity, save costs, and expand at a never before seen scale. The cloud brings the “Art of the possible” to any business no matter how large or small. Microsoft have invested heavily, I dread to think how many $billion into providing the horsepower and the platform to allow businesses to become more productive, and at some point in needs to pay off for them, which brings me on to the next point. Transformation – The decade 2010-2020 is the decade of transformation. This is decade where businesses begin their journey from private datacenters, to hybrid private / public cloud, and eventually all the way to cloud only. The trouble is, no one has done this before, not at this scale anyway, so Microsoft need their SI partners in order to help them take customers on the journey. To try out new scenarios, new ways of working in order to prove the concept in a way. This is true to this day and relevant to Microsoft and IT. Microsoft are driving innovation and paving the road ahead of us. Now is the time we all see whether this is the road to Graceland? Transformation is all about this journey, and it just means, looking at things from a different vantage point. What is beyond the cloud? – It is difficult to imagine, and in one of those Back to the Future moments, with the development of machine learning, Microsoft Graph, Internet of Things by the decade 2030-2040 we could be looking at something monumental. Will Microsoft be the first innovators to connect the consumer and business world together, in one global AI network? I see this as the holy grail of IT, allowing business transactions to happen in consumer spaces, and the ability of both worlds to influence decisions within each other. But anyway, the point of the Keynote was to tell the world that Microsoft is ready, and now is the time to stop thinking legacy and start doing something with the cloud. Now on to the Skype for Business stuff! And I warn you, this is ALL Skype for Business ONLINE! You will notice, not a single announcement was made where Microsoft referenced ON-PREMISES! This means, whether you like it or not, 2017 is going to be Cloud First to Cloud Only!! 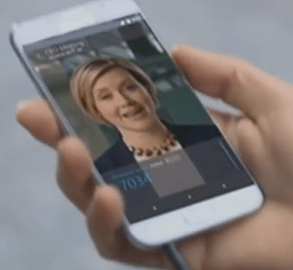 Microsoft have announced that they will be launching closed caption REAL TIME transcription service to Broadcast Meetings in English, Simplified Chinese, German and Spanish, with a commital of 50, yes FIFTY other languages on-demand coming soon. This I believe uses Azure media services in conjunction with bing translate and probably a whole bunch of other tech that I just dont understand, but for multi-national businesses who want to get their marketing or corporate message out in native tongues, this service will be inspirational! I imagine the first iteration have some inaccuracies. 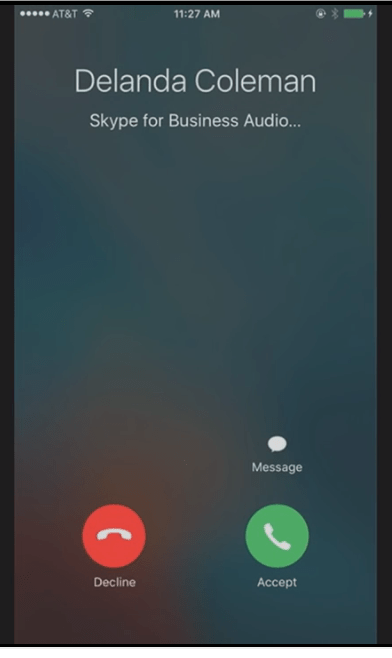 I was watching the Keynote live with the transcription service in English and there were a few questionable errors and it seemed to have trouble catching up with fast speakers, or transitioning between people if the handover was too fast. But the service will get there, given time. There were a number of announcements in this space. The biggest announcement for me was that by the end of the year we will be able to host Skype Online meetings in a local datacenter. What does this mean? Typically Office 365 tenants are located in one geographic Office 365 datacenter. For the UK, this is Ireland. So when users spin up meetings they are hosted on the Skype for Business servers in that datacenter. Typically, this would not be a huge problem, but if that user (organiser) is in the Los Angeles office, they have to connect to the meeting service in Ireland for that meeting. This introduces latency and poor quality risks, and a longed for feature, was a geo dispersed Office 365 tenant. By the end of the year, if the user is located in another country, they will be able to host the meeting at the nearest Office 365 datacenter to them, regardless to where the company’s tenant was originally set up! Details are still sketchy, but I Imagine the service will look at the user’s assigned location in Office 365 licencing in order to determine which MCU to host the meeting on. This is amazing news, and now reduces the argument for Express Route even more so as local conferences will always work better than intercontinental. The underlying logic behind this of course, is that when the organiser creates a meeting, they will in general be inviting participants within their local region to the meeting. 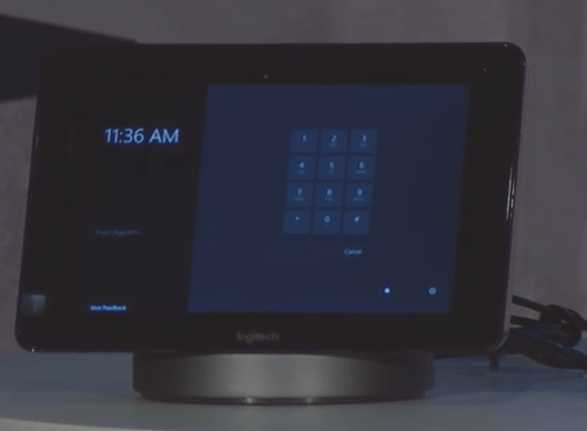 Back at Enterprise Connect last April, Microsoft in partnership with Logitech, Polycom and Crestron announced Project Rigel. The aim of Rigel was to bring the power of the Lync Room System to any meeting room with just standard equipment. Typically Skype Room Systems where dedicated systems cost many thousands of pounds and Microsoft realised that only 2% of the world’s meeting rooms had this equipment. The biggest factor here is money. So Microsoft teamed up with their partners to devise a simple system that could take standard equipment such as a TV or Projector, and webcam and turn them into a fully fledged Room System. This was codenamed Rigel. We need a Surface Pro 4?!? Does that mean ANY Surface Pro 4? I guess details will come out soon! A few key points from Gurdeep’s session was that (if I interpreted it correctly) Microsoft are governing these solutions, but partners are developing them. What I believe this means is that no matter what partner you choose, Logitech, Polycom, Crestron, the offering will be the same, no difference in specification and more importantly all within the same price bracket. With Gurdeep saying you can have one of these devices for $2,000 suggests that Microsoft are subsidising these (again assumption). The focus this year has been Microsoft pushing the development of the MAC client. They have made a lot of noise about this, making sure everyone knows that they have developed this from the ground up and they are very much focussed on making the MAC client the best client experience for Skype for Business. This will please a lot of MAC users, who finally may start to feel Microsoft cares about them. In reality though, this is a marketing ploy (in my opinion) on a greater objective from Microsoft. It is my belief that Microsoft have chosen to make a point with the MAC client that their long term objective is to be a services provider who can deliver the same service and experience to users no matter what machine or operating system they have. No longer is Microsoft a Operating System company, they have all but written that side of the business off now, but a services company who develop applications to connect to their services on any OS. If you think back, Windows 7 was compared to MAC OS, Windows 8 was said to be the closest Windows OS to MAC yet. Windows 10 came out and this will eventually be scaled down from a full OS to probably something more similar to Google’s ChromeOS. So Microsoft want to prove that they can do it cross platform, and the fact that MAC is so prevolent in the consumer space it is the perfect platform to show what they can do and is the perfect marketing story to sell. This of course is great news for MAC users, they are being given the opportunity to be the first to experience true cross plaform full feature parity and I have to say I really like the MAC client look and feel from the pictures and demo’s I have seen. I am not a MAC user, but this may entice me to consider one next time I am looking for some hardware. Which is probably what Microsoft want really..
One thing I am confused over though, is the different style to the client. Back in 2015 when Skype for Business was released, the message from Microsoft was that they wanted the same client experience and style across all platforms. This was a key message that they belived by providing the same styles to PC, Mobile, MAC clients they could reduce training requirements and increase adoption. However, looking at the MAC Client, it bears no resemblence to the PC Client. I mean nothing! Not what we are used to is it? Who knows, you decide – these screenshots where taken from the video in question during Gurdeep’s session (~40 mins in) You decide! Still not convinced? 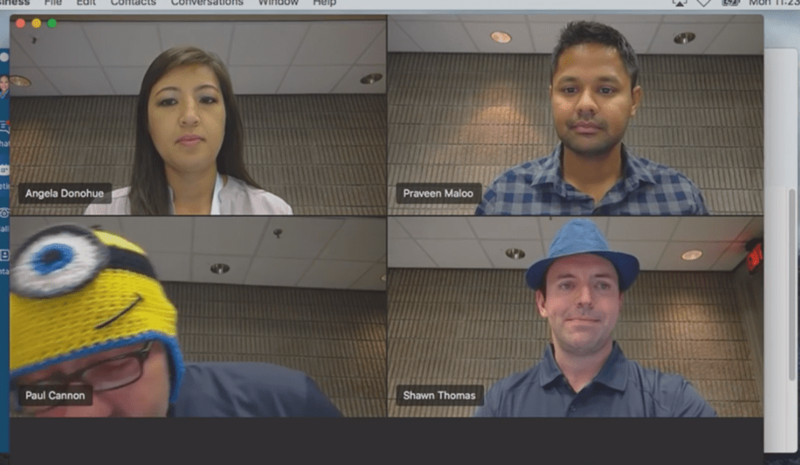 Let’s take a look at the Skype Room System experience..
Uncanny isn’t it? You decide..
Again, another project announcement from Enterprise Connect back in April has come to fruition, in that Polycom have now released their Azure hosted Real Connect Service for Office 365. 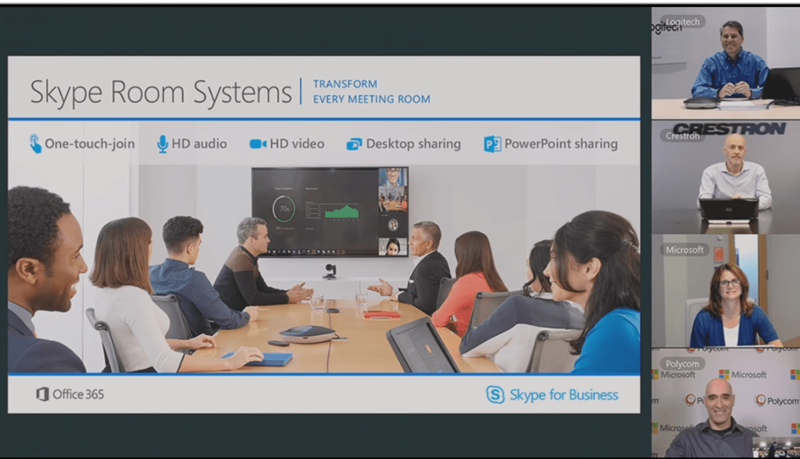 This service is now in preview (www.skypepreview.com) and allows businesses to connect non-Skype for Business VTCs to Skype ONLINE meetings with full H.264SVC HD video without any on-premises hardware required. 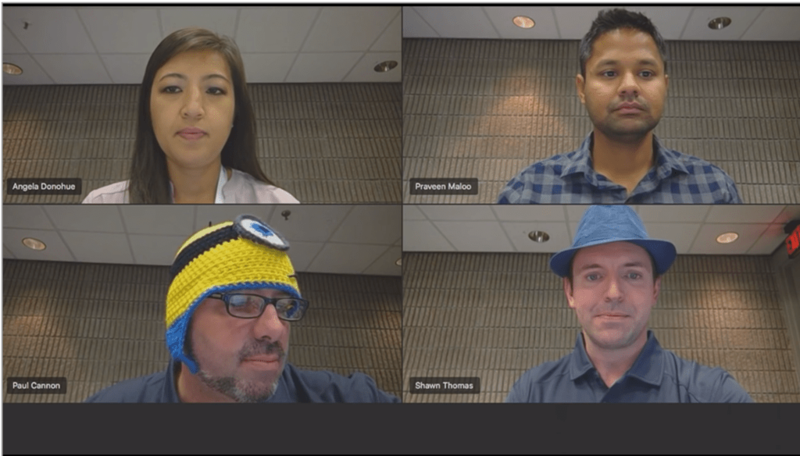 So if you have Cisco VTCs, these can now be used in your Skype for Business Online Video Conferences. 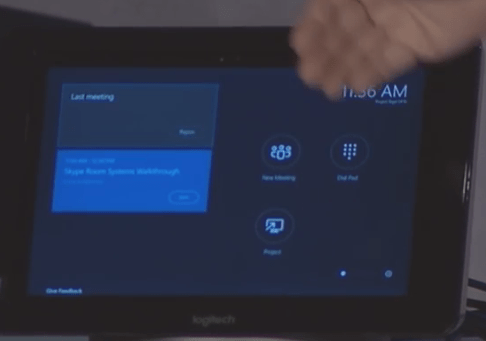 Although details are still sketchy, the meeting demoed in Gurdeep’s session was using the RealConnect service to connect Polycom and Cisco VTCs into the Skype Online meeting being hosted on Skype Room System (Logitech smartdock) to really show the power and interoperation now available in Office 365. I believe that the RealConnect service will be a subscription based service you can purchase through Office 365 in the same manner as you can apply add-ons to your E(x) licences. But confirmation of this will follow I guess. Although impressive, I wonder how many dial-in partcipants joining your meetings will be living in Bosnia…? Nevertheless, not taking this away from Microsoft, it is an achievement and to be able to conference at your local rate or even toll free should be a freedom afforded to us all, so well done! In October this year (2016) we will finally be able to preview the long awaited Organisational AutoAttendant and Call Queues service in Cloud PBX. These services are built on the new Web API being touted as the Trusted Application API (not the final name by all accounts) and this will be the replacement to UCMA for all you app devs out there. In addition, we will be able to use dynamic conference IDs so our meetings can be more secure. Though nothing new to the on-prem world, this is just another feature ticked off the parity list as far as I am concerned. and ONE MASSIVE ANNOUNCEMENT – The Cloud Connected Appliance!! The Cloud Connected Appliance sounds interesting. Microsoft are going to release their own CCE appliance.. watch this space, can’t say too much about this right now. Microsoft will be releasing a huge improvement to OWA and Skype for Business Online integration. Presently, you have basic IM and Presence capabilities within OWA. Microsoft will be releasing AUDIO and VIDEO support within OWA without a plugin!! Huge anticipation on this.. Is this the way the PC Client is going?!?!? Time will tell..
Ayway I hope this has given you a round up of all the announcements from Ignite so far. Really no on-premises anymore? In Germany we don’t believe in this cloud stuff, our customers are in fact far away to think about it. We had just a customer dealing with this idea for a long time (enterprise), but finally he decided to remain on prem. That’s the truth, at least here…. All the new features where Online / Cloud Only features. Not a single mention for On-Prem, now with Microsoft Teams, it is the strongest sign yet that On-Prem will go into long term support soon. I understand the DACH market is cloud adverse, but eventually you will crack or use other technology, I feel that’s the choices it will come down to. We’re planning for MSexit if things wouldn’t change.